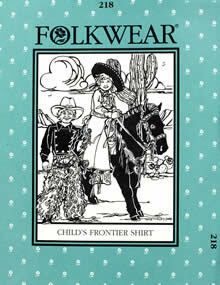 For young boy and girl buckaroos, this classic Western shirt has three different looks: Lace-up Front, Cavalry-style bib front or Fireman's bib front. Shirt has pointed collar and shaped back yoke that's great for contrasting or pieced fabrics. 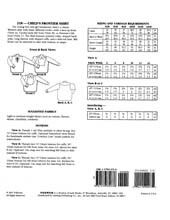 Attach bib fronts with buttons or snaps. Child's 4-14.